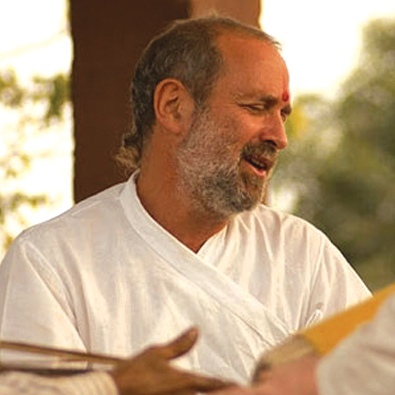 Devotional practitioner, translator, author, speaker and musician, Shyamdas (1953-2013) brought India’s ancient Vedic literature and medieval devotional renaissance to life in the West. An accomplished practitioner-scholar and guide to the 16th century philosopher Vallabhacharya’s Pushtimarga tradition, Shyamdas published more than 15 books on Bhakti Yoga and the Path of Grace. Shyamdasji’s overflowing good mood and ability to relate to every individual and situation with bhāva (divine, good mood) made him an instant best friend to so many. His profound contributions live on in their hearts, and in his audio and written publications.